Throughout the 1960s, 70s and 80s, the Pottery industry was thriving in Cornwall and Studio Pottery was very popular. Local artists and ceramicists began setting up their own businesses, creating beautiful tableware, kitchenware and homeware items in striking designs. 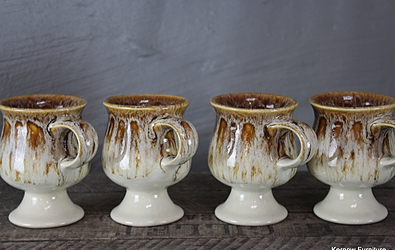 We explore a few of the Cornish potteries in this post. Bolingey Pottery sadly closed in the 1990s. Bolingey is a small villiage near Perranporth, Cornwall. Perranporth has a lovely north coast beach that is extremely popular all year round. 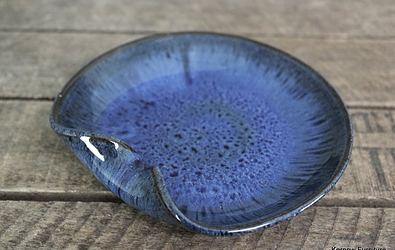 Founded by Norman Taylor in the sixties, he moved from Coventry where he had worked as a travelling salesman, and learned the skill of pottery at a local evening class. Clearly finding it enjoyable and seeing an opportunity, he and his family opened Bolingey Pottery. In the mid-sixties he enlisted the help of the highly skilled and experienced Mike Edwards who previously potted for Lakes Pottery. Pottery made by Michael Edwards generally has the word Perranporth underlined, occasionally you will find his initials as an accompanying identification mark. It's said that you'll find his initials on work that he was particularly proud of. 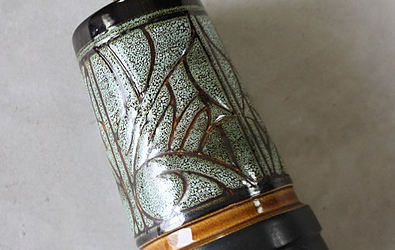 Norman Taylor pottery is few and far between, so if you have some, keep hold of it! Sadly we hear that Norman passed away in Cyprus in 1983. Celtic Pottery took shape in the late fifities/early sixties in the Cornish village and fishing port of Mousehole (also well known for it's stunning Christmas lights that come to life each December in the harbour). The pottery was set up by husband and wife team, Bill and Maggie Fisher. They went their separate ways in 1968. Maggie moved just up the road to Newlyn in the seventies and started production with new partner Ev Stevens who ran Gwavas Pottery. Celtic Pottery is known for it's highly successful designs 'Folk' and 'Medallion'. The Folk design depicts aggressive cockerels ready to fight, and was one of Bill Fisher's designs. We love the colours of the Folk design pictured below.The Medallion design is an amalgamation of Maggie and Ev's designs. Fosters Pottery was set up by the Foster Brothers in the late fifties, early sixties. Originally based in Redruth, on the site were the Tesco petrol filling station now stands, it employed approximately fifty people in it's hay day. The pottery was renowned for it's distinctive brown honeycomb glaze. 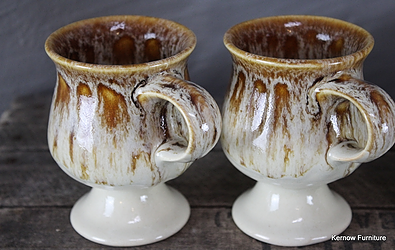 The honeycomb glaze was used in a variety of colours, on many pieces of vintage pottery, from coffee sets and pots to collectable seal ornaments and fish gurgle or glug glug jugs. In the mid-nineties, it moved to Wilson Way in Pool, near Redruth where it ran under different management. One of the brothers, Reg Foster opened Kernewek Pottery near Perranporth. Kernewek sadly had a fire in the kiln room in 1995 which destroyed the facilities. They operated as a shop until 2005 when they closed. Nevertheless, there are avid collectors of Fosters pottery around the world who have impressive collections of the now retro homeware. One of the oldest working potteries in Cornwall, Lakes Pottery was founded in 1872 in the city of Truro as W H Lake and Son. Truro is Cornwall's only city and known for the rather impressive Truro Cathedral. It was established at Chapel Hill Pottery, where the Truro Methodist Church now stands. 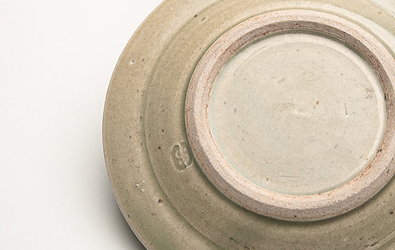 Lakes Pottery served the community of Cornwall by producing lovely earthenware for a century. It was particularly known for it's large bowls and wide shallow bowls known as pancheons which were used for making bread - essential at a time where bread was baked daily at home. Lakes Pottery was destroyed by fire and sadly closed down after struggling on for a few years. A very sad ending for such a well established and popular pottery. We are always particularly pleased to see any of their antique pottery and vintage kitchenware arrive with us. Bernard Leach founded Leach Pottery in 1920 in St Ives, Cornwall. From 1937 until 1979, they produced Leach Standard Ware, a range of domestic tableware - with Bernard's vision of engaging with the wider local community and creating a standard of pottery that could be used domestically and purchased for a reasonable cost. 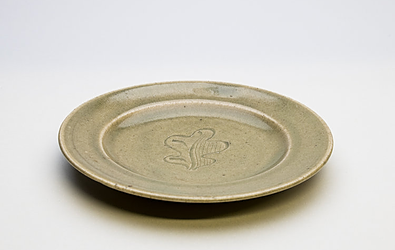 Production of this popular Standard Ware stopped upon the death of Bernard Leach. His wife Janet, worked on her own bowls until her death in 1997. It was very much a family business with their son David Leach managing the site from 1937 and developed the stoneware body that was used. 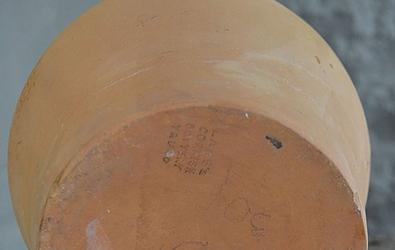 Over the years there were many, many potters that worked with Leach, resulting in a lot of different identification marks. 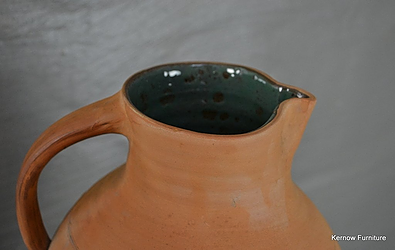 Vintage Leach Pottery is still in circulation today and can also be seen at the Pottery Cottage which is now open as a museum, displaying great examples of work carried out by some of the potters that have worked there. 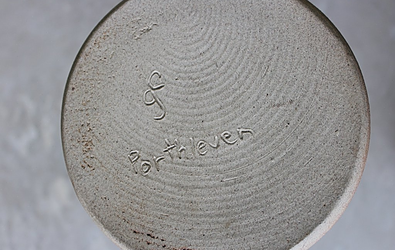 The Porthleven Pottery was based in the Cornish seaside town of Porthleven near Helston, until the late 1990s/2000, when the owners moved to New Zealand. Opening in 1967, Graham Fern and his daughter Fenella created many fantastic pieces of pottery. The site was also home to a couple of potters before Graham, including Brian Jasper and Jon Cheney. 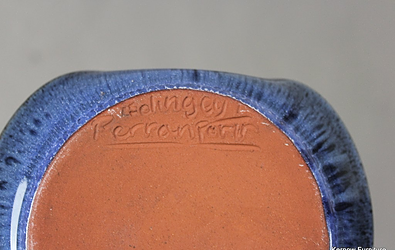 Vintage pottery made by Graham Fern himself is marked with a 'gf' and Fenella pottery appears to be marked with an 'f'. There is little known about Fenella's time at the pottery, and her work is harder to find. Although many colours and designs were made, some of the most sought after is a beautiful rustic red and orange. 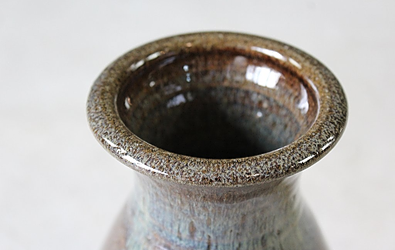 This Large Porthleven Pottery vase measures 31cm high, and is made by the iconic Cornish pottery. Let's see your vintage Cornish pottery! We love seeing examples of local Cornish pottery, and we'd love you to share some of your collections with us. You can comment on this post, or you can post photos on our Facebook page. If you've worked for one of the potteries mentioned, please contact us! We'd love to hear from you. 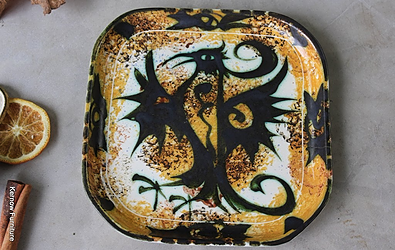 There are many other Cornish Potteries that we haven't explored in the blog post, including Tremar Pottery, Tintagel Pottery, Tremaen Pottery, Carn Pottery, Marazion Pottery, Troika Pottery and many many more. Kernow Furniture is online store based near Redruth, Cornwall. We hold a large selection of furniture and decorative items. You can find many eras and styles of antique, retro, and vintage furniture, homeware and gifts. We offer fast national delivery on all items. We welcome viewings by appointment on 01209 316220.